On March 28th 2019, Arthur Alvin Buff, Jr, loving husband, and father of 7 children, passed away peacefully at his residence. Art was born in Brooklyn, New York to Arthur and Edythe (Dugan) Buff. He grew up in Forest Hills, New York, along with his sister, Jean Norton, brother Bruce Buff and sister Edythe Gallagher. He married his bride Frances Henry, in 1956 and they raised 7 children together. Jill, Art, Beth Mary, Missy, Timmy, Cristy and Paul. Early in life, Art served in the Navy as well as worked construction, manufacturing and textiles prior to finding his true passion in retail. 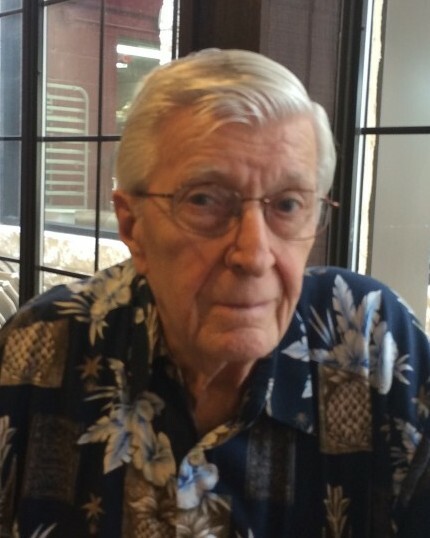 He managed several valley Walmart Stores for 30+ years and was loved and respected by employees and customers alike. Those who were part of his work team have made many comments to his strong work ethic and he will always be remembered for being fair, kind and compassionate. Art had a witty sense of humor that always brightened the room and would leave folks wondering what could come next with his dry outlook on funny situations. He also was an amazing cook but really shined at the grill. Those that were lucky enough to be invited to his table will always remember his Barbequed ribs. His parents, his wife Frances and infant daughter Beth Mary, predeceased him in death. His children, their spouses, nine grandchildren and several great grandchildren survive him. A funeral service will be held on Monday, April 1st at Buck Ashcraft Funeral Home at 3:00 p.m. with visitation hours beginning at 10:00 a.m. until service time. In lieu of flowers the family requests donations be made to the Humane Society of Harlingen, 1106 Markowsky Ave., Harlingen, Texas 78550.